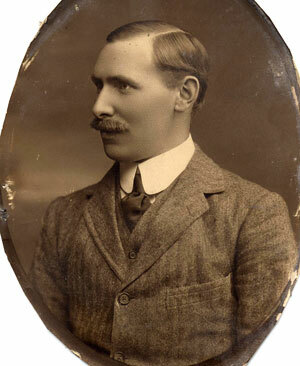 George Henry Ivar Grey of Middle Ord and Milfield was known as Ivar, (or Dane because he was so fair haired.) 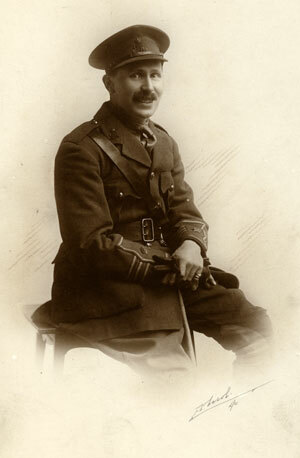 He inherited Milfield Hill on the death of his older brother Jock in 1924. 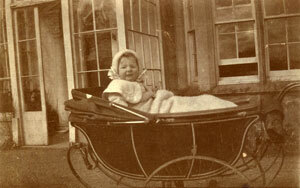 Ivar Grey was born at Doddington on Friday May 12 1882, and christened at Doddington by Rev. 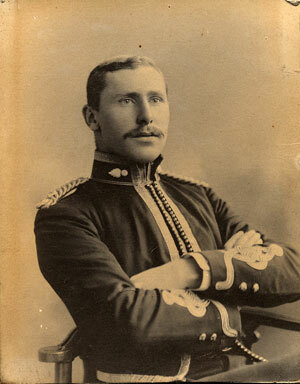 A. Proctor. 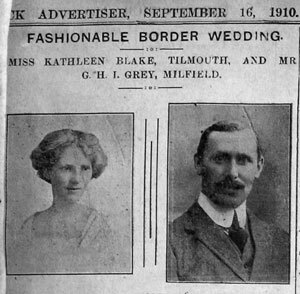 He married Kathleen Selina Douglas Blake, on 14 September 1910 at Norham. He died at Milfield on 7 October 1943, and was buried at Fireburn. Milfield then passed to his son Jack. 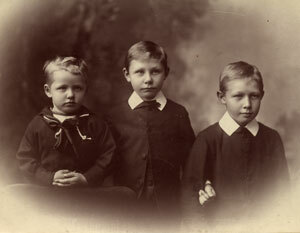 Above: Ivar in the centre with his older brother Neil on the right and younger brother Eric on the left. 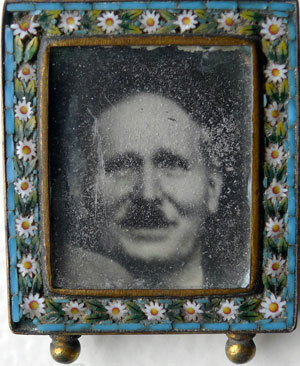 A cabinet photograph from W. Green's studio, Berwick on Tweed.
" An exceedingly pretty and interesting wedding took place at St Cuthberts Church, Norham, on Wednesday, the contracting parties being Miss Kathleen Selina Douglas Blake, eldest daughter of Sir Francis and Lady Blake, Bart of Tillmouth Park and Mr George Henry Ivar Grey, eldest son of George Grey, Milfield. The happy event created a great deal of interest in the county of Northumberland, and further afield, and there was in consequence a large and distinguished company of guests at the ceremony. The ordinance was performed by the Rev. Erskine Campbell Coquhoun, Chartworth, Kent ( cousin of the bride), assisted by the Rev C. Green, vicar of Norham. It is an interesting fact that Mr Cambell Coquhoun performed the the nuptial ceremony at the wedding of the bride's father and mother. The service was fully choral and the hymns, "The voice that breathed o'er Eden" and "O perfect love, all human thought transcending" and Psalm lxvii, " God be merciful unto us and bless us" were sung. The old church at Norham with its stately pillars was prettily decorated with groups of liliums and other blossoms hidden among palms and other foliage, the whole forming a very striking and effective scene. The decorations and wedding bouquets were supplied by Messrs. Wm. Anderson and Sons, florists, Hide Hill, Berwick. 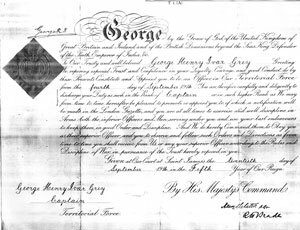 Mr Geo I. Grey was the groomsman, and the bride was attended by two page boys in the persons of Master Patrick Delaval Blake and Master John Henry Francis Collinwood, who were attired in white fauntleroy suits. They wore pearl and turquoise safety pins, the gift of the bride. The bride who was given away by her father, was attended by seven bridesmaids- Miss Marjory Blake, Miss Mary Grey, Miss Francis Burton, Miss Joan Bannerman, Miss Elsie Paget, Miss Marion Eccles and Miss Flora Parker. The bride looked handsome in a gown of white satin charmeuse, veiled with a overdress of ninon bordered with lace and embroidered with pearls in a design of true lovers knots. The court train was of satin charmeuse embroidered with pearls, which hung from each shoulder with pearl butterflies and was held at the waist by a pearl girdle. The veil belonged to the bride's mother. She wore a wreath of orange blossom and myrtle and heather and her only ornament was a sapphire and diamond crescent broach, the gift of the bridegroom. The bridesmaids wore charming gowns of white satin mousseline with over dresses of Ninon trimmed with silver lace and caught up with chene ribbon shades of china blue and pink. They also wore embroidered pearl Juliet caps and carried bouquets of of pale pink carnations. The bridegroom's gifts to the bridesmaids were pendants of amethyst and pearls set in silver and worn with silver chains. The brides mother was attired in a lovely gown of pale... cashmere de sol, which was embroidered....shades of grey. She also wore a black...aw hat with ostrich feathers. The brides travelling dress was a tailor made....navy blue cloth with a coat to match,.... with pretty oriental embroidery and ....a dark green hat with wings. .... along the roads leading to Norham bunting was to be observed while in the village...every available flag was in use and displayed at some advantageous point. Long before the hour of the ceremony people began to arrive, and securing good positions patiently awaited the arrival of the guests and principal parties to the days proceedings. On the bride and bridegroom leaving the church and proceeding to to join their motorcar, they were victims of an old village custom. They were "roped" or, in other words, a number of stalwart villagers with a rope gaily decked with ribbons barred their progress until they had conformed to custom. The bridegroom smilingly paid toll, the rope was withdrawn and with the good wishes of the"ropers" the happy pair were allowed to proceed. After the ceremony the wedding supper was held at Tillmouth Park, where the health of the couple was cordially pledged. Mr and Mrs Grey left by motor for their honeymoon which is to be spent in Scotland. The workmen on the estate had erected a handsome triumphal arch at the entrance to Tillmouth Park. Lady Blake's cook made the wedding cake, which was a splendid specimen of the confectioner's art. The presents were costly and numerous, numbering over 300. The bride's present to the bridegroom was a miniature of herself and the bridegroom's presents to the bride were a gold bracelet watch and pearl and aquamarine pendant. From her father the bride received a turquoise ring and cheque, and from her mother, furs, household linen and piano, while from her brothers and sisters the bride received silver spoons and forks. The tenants on the Tillmouth estate sent a pair of silver entree dishes, while the servants presented a silver salver. The GUESTS. The list of invited guests was as follows:- Lord and Lady Inverclyde, and Lady Inverclyde, The Hon. A Caroline Burns, Rev. C. and Hon. Mrs Corfield, Mr and Mrs Cambell-Coquhoun, Capt Julian Campbell-Coquhoun, Capt and Mrs W. Campbell Coqhoun, Lord and Lady Napier and Ettrick, Hon Lennox Napier, Major and Mrs L. Bosanquet, Lieut. and Mrs H. Bosanquet, Mr and Mrs George Grey, Messers, Neil, Boyd, Eric and Gervase Grey, Mr and Mrs Dixon Johnson, Lord and Lady Howick, the Right Hon. Sir Edward Grey, Mr George Butler, Mr and Mrs Anthony Bell, Mr and Mrs Arthur Blake, Mrs Steele, Miss Blake, Liet-Col Steele, Mrs Clay, Miss Clay Mr George Meuricoffor, Mrs Conrad Leopold, Mr and Mrs Montague Godfrey, Mr and Mrs George Rea, Mr John Rea, Mrs Leather, Mr and Mrs Cambel-l Bannerman, Capt. and Mrs Allenby, Col. and Mrs Foster, Hon. Mrs Askew- Robertson, Sir Gainsford and Lady Bruce, Mrs Pelly, Mr and Mrs W. Askew, Major and Mrs Sinclair-Wemyss, Mr David Askew, Hon. John Gordon, Mrs Gordon, Mrs John Long, Captain and Mrs Gartside Tippinge, Miss Tippinge, Mr F. Tippinge, Major and Mrs Sellar, Mr and Mrs Patrick Sellar, Miss Orde, His Excellency the Governor General of Canada (godfather to the bridegroom) and Countess Grey, Mr and Mrs Boyd, Miss Boyd, Lord and Lady Douglas, Admiral Sir Charles and Lady Hotham, Miss Milne Home, Mr Frank Edward Blake, Mr. and Mrs Thorburn, Miss Thorburn, Mr and Mrs Collinwood. Mr and Mrs Campbell-Renton. Mr and Mrs John Trevelayn, Lord and Lady Joicey, Hon Marguerite Joicey, Hon Drevon and Sidney Joicey, Mr J. R. Blackett-Orde, Lady Marjoribanks, Sir Lindsay Wood, Mr Arthur Wood, Mr and Mrs Hale, Mr Charles C. Grey, Col. and Mrs Boswall-Preston, Major Baldwin, Sir Hubert Jerningham, Judge and Mrs Hans Hamilton, Mr J Kirsopp, Mrs Robertson Ross,Major and Mrs Wilkie, Lady Laing, Miss Laing, Miss Houstoun-Boswell, Mr Griffith -Jones, Mr and Mrs Fawcus, Dr and Mrs C Henderson, Lady Elliot, Lord and Lady Low, Doctor and Mrs Hodgkin, Mr and Mrs Lambton, Mrs Arbuthnot, Rev Father Smythe, Mr and Mrs Villiers, Major and Mrs Metcalf, Mr and Mrs Robert Mills, Dr and Mrs Hardcastle, Mr and Mrs Stephenson, Mr Harold Ward, Mr and Mrs Redvie, Archdeacon and Mrs Hodgson,Mr and Mrs Helme, Miss Campbell-Coquhoun, Mr Beauchamp Selby, Mrs. Selby, Mr. A B Boyle, Argyle and Sutherland Highlanders; Mr Gordon Campbell-Colquhoun, Mr Tom Campbell -Coquhoun, Mr Hugh Campbell-Coquhoun, Miss E. K. Campbell-Coquhoun, Mr and Mrs A. Campbell-Colquhoun, Major and Mrs Browne, Col. Pennyman,Mrs Gough, the Misses Gough, Mr C and WA Boswell -Preston, Mr John Gough, Mrs Liddell-Grainger, Mr H Liddell-Grainger, Capt. and Lady Clementine Waring, Mr and Mrs Scott-Fox, Mr and Mrs Mitchell- Innes, Colonel and Mrs Bates, Canon and Mrs Holland, Mr and Mrs Younger ,Mr and Miss Atkinson-Clark, Mr Fred Bell, Lord and Lady Francis Osborne, Mrs Phipps-Hornsby, Capt. 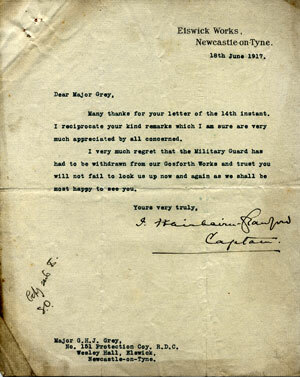 and Mrs Napier, Col and Mrs Paget, Hon Mrs Baillie-Hamilton, Mr and Mrs Thomas Taylor, Mr Francis Douglas, Miss Douglas, Major and Mrs Hunter-Blair, Capt and Mrs Halsey, Miss Noel, Mr and Mrs Sterling-Newall, Mr and Mrs Geoffrey, Mr and Mrs Cambell-Renton, Mrs Campbell-Renton, Mrs Tweedell, Mrs Arnold, Lord and Lady Tankerville, Rev M. Culley, Capt and Mrs Frank Sitwell, Mr and Mrs Charles Forbes, Mr Gordon Wilson, Miss McBrayne, Rev and Mrs B. Boyle, Mr and Miss Hunt, Mr and Mrs Bell-Simpson Capt and Mrs French, Capt Kinsman, Capt and Mrs Staniford,Mr and Mrs Sanderson, Mr G Cranston,Miss Waterson,Mr C Waterson,Mr and Mrs Wardropper, Miss Scott-Kerr, Major and Mrs Wilkie, Mr T. Parker, Capt and Mrs Burrell, Mr and Mrs Leyland, Mr and Mrs Fenwick, Mrs and Miss Reed, Rev C and Mrs Green, Mr and Mrs Arthur North, Miss Keightley, Mr and Mrs Campbell-Swinton, Capt A E Marrow K.O.S.B. Capt. 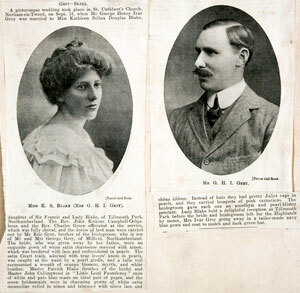 Youngson K.O.S.B., Mr and Mrs Tower Robertson, Capt. Norman R.N., Mrs MacBraine, Major and Mrs Craig, Dr and Mrs Fleming, Mrs and Miss Creet, Mr and Mrs Donnelly-Warren, Mr and Mrs Greenshields-Leadbitter, Capt and Mrs Rofe, Mr H Peedes, Professer and Mrs Butler, Miss Dulcibelta Barrett, Mrs E. P. Taylor, Rev. 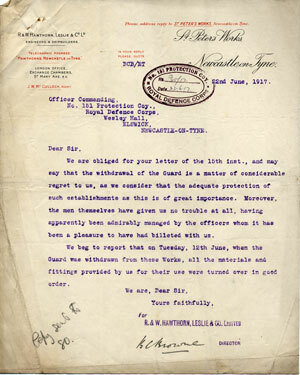 A. and Miss Stogdon, Col and Miss Roddam, Lord and Lady Low, Miss Manisty, Miss Cunningham, Mrs Murray Hurry, Mr Hopbug, Mrs High Boyd, Mr Hitchins, Miss Kitty Straker, Mr and Mrs Clayhills, Mr and Mrs J. W. Rand, Mr W. Hoyle, Mr R. J. Aynsley, Mr C. J. Bell, Mr J. M. Clarke." (Following this is 2 columns of lists of presents) Yesterday a garden party took place at Tillmouth Park when Sir Francis and Lady Blake entertained a large company of guests. An opportunity was afforded of viewing the many presents and an enjoyable afternoon was spent. 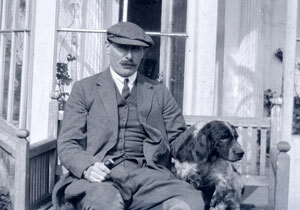 Right: Ivar photographed in William Green's studio at 7 & 9 Castlegate, Berwick on Tweed. 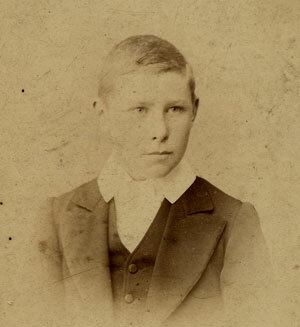 Right: Ivar in 1894, a cabinet photo by Atelier F. B. Feilner, Jhn. E Burgdorf,Georgstrasse, 25, Hanover. 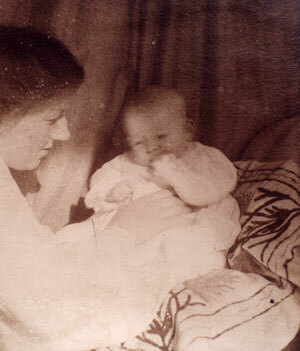 Left: 4th April 1900. 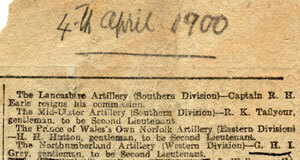 "The Northumberland Artillery (Western Division)- G.H.I. Grey, gentleman, to be Second Lieutenant." 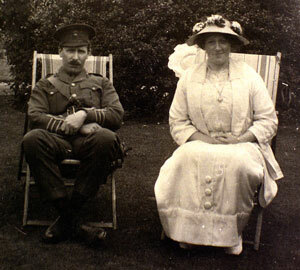 Right: In his Royal Artillery Uniform as a 2nd Lieutenant. He served at Plymouth. 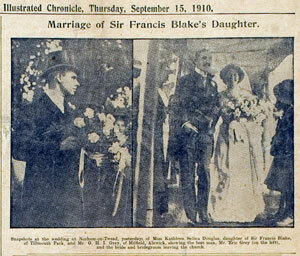 Right: At his wedding to Kathleen Selina Douglas Blake, eldest daughter of Sir Francis D Blake Bart, of Tillmouth Park, on 14 September 1910 at Norham. 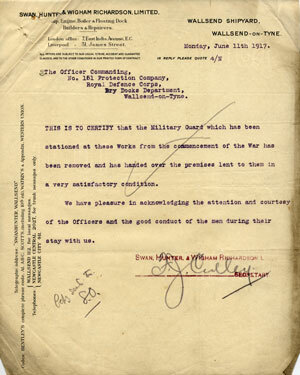 With the outbreak of WW1 Ivar was involved in the war effort at home. Due to a riding accident which had left him lame he spent the war in the special reserve guarding power stations ammunition factories and industrial sites. Right: "George. H. Ivar Grey captain territorial Force Reserve. General List. 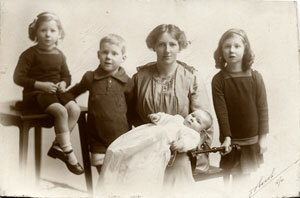 22 September 1914"
They lived first at Wylam where their daughter Hestia was born on 16 July 1911 and their son Jack on 29 November 1912. Then they moved to Middle Ord the house that belonged to Ivar's mother. 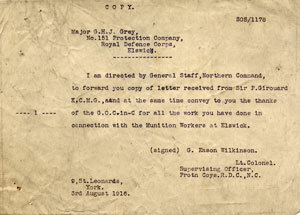 Right: letter dated 3 August 1916 thanking Major GHI Grey of the Number 151 protection Company for guarding the Munitions Works at Elswick. 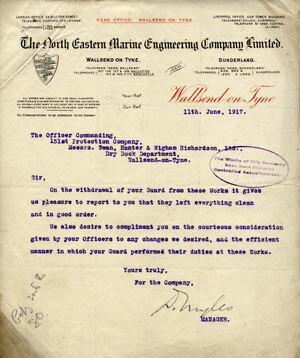 Right: Angela was born at Middle Ord on 2 February 1914.
Letters written in 1917, from the Newcastle upon Tyne Electric supply Company, the Elswick Works, Newcastle, the North Eastern Marine Company at Wallsend and Swan Hunter at Wallsend. 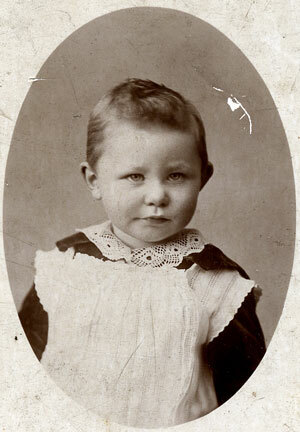 Above: Robert was born on 19 August 1917 in Newcastle. 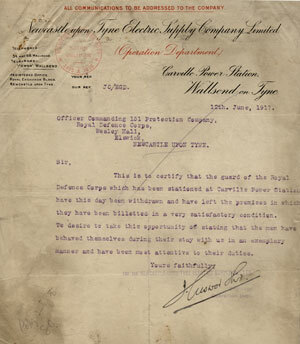 After the armistice the family moved back to Middle Ord. Their last child Lina was born there. From left to right at the back, Jack and Robert, Hestia, Lina and Angela at the front. The bench outside the front door of Middle Ord was made from wood from the refit of the Mauritania. While they lived at Middle Ord the children were allowed to do much as they pleased; their education was with governesses. Jack, Het and Angela didn’t much like one, so one day, when they were due for lessons, they hid in a tree and when discovered were beaten by their father with a slipper. 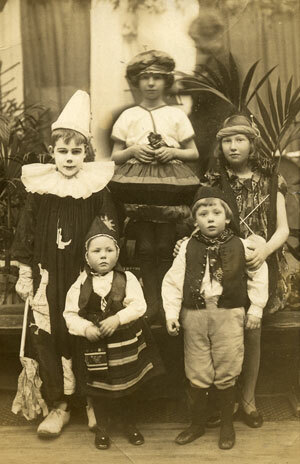 Right: the children at a fancy dress party. 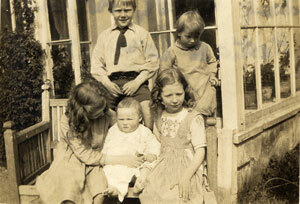 Ivar and Kathleen could not afford to send 5 children to boarding school so in 1922 they moved to Newcastle. They bought their house there with money from Kathleen's trust fund set up by J. Cleland Burns, the ship owner who built-up the Cunard Line. Ivar and Kathleen were both on the Mauritania on its maiden voyage. Ivar was lame from his accident which left him dragging his leg. He got arthritis in it, and he had a special comfortable chair made. He drove all over the fields to get about for his work , sometimes with the children on the running board of the car. 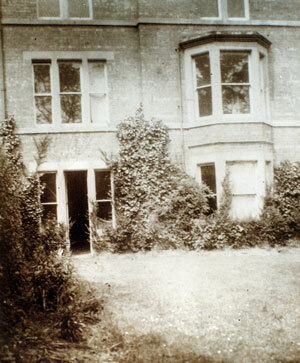 The family lived at 23 Grosvenor Place, Jesmond in Newcastle and the children went to different schools there. 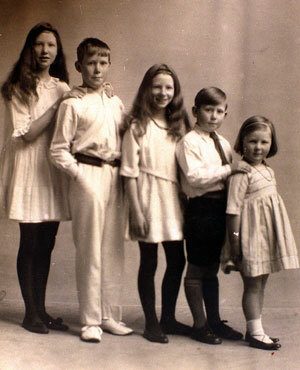 With the early death of his older brother Jock in May 1924 Ivar inherited Milfield Hill house. In the post war period he and his wife knew they could never afford to look after it but they could not bear to give it up. They took in paying guests, which just covered the costs of feeding the family. 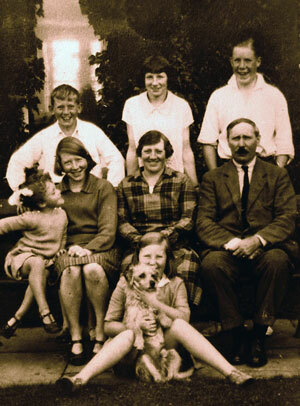 When WW2 broke out Kathleen and Ivar looked after evacuees, and later officers and their wives and families. He died from a heart attack during WW2 on 7 October 1943 at the comparatively early age of 61. 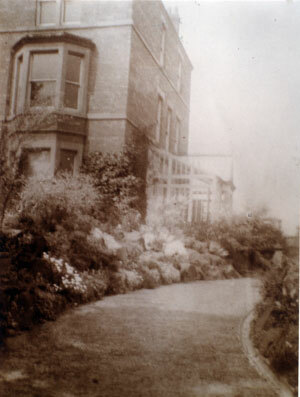 His wife Kathleen continued to live there looked after by her daughter Angela until her death on 11 October 1958. It then passed to Ivar's son Jack. Right: the caption says: "Snapshots at the wedding at Norham on Tweed, yesterday, of Miss Kathleen Selina Douglas,daughter of Sir Frances Blake, of Tillmouth Park, and Mr. G.H.I. 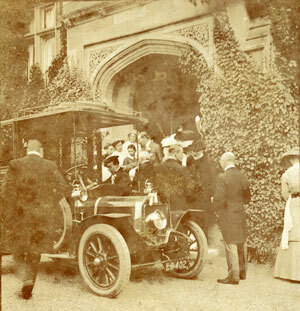 Grey of Milfield, Alnwick, showing the best man Mr. Eric Grey (on the left) and the bride and groom leaving the church." "GREY-BLAKE A picturesque wedding took place in St Cuthbert's Church Norham-on-Tweed on Sept 14th when Mr George Henry Ivar Grey was married to Miss Kathleen Selina Douglas Blake, daughter of Francis and Lady Blake, of Tillmouth Park, Northumberland. The Rev. 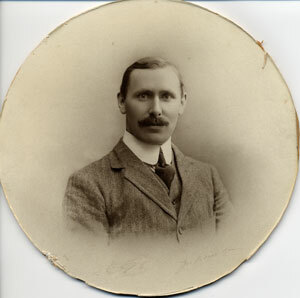 John Erskine Campbell-Colquhoun and the Rev. 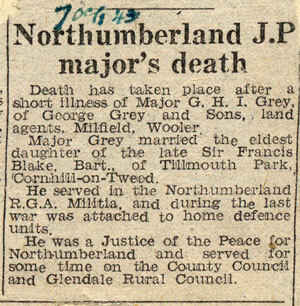 Charles Green officiated at the service, which was fully choral, and the duties of the best man were carried out by Mr Eric Grey, brother of the bridegroom, who is son of Mr and Mrs George Grey of MIlfield, Northumberland. The bride, who was given away by her father, wore an exquisite gown of white satin charmouse covered with ninon, which was bordered with lace and embroidered with pearls. The satin Court train, adorned with true lovers' knots in pearls, was caught at the waist by a pearl girdle, and a tulle veil surmounted a wreath of orange blossom, myrtle and white heather. Master Patrick Blake (brother of the bride) and Master John Collingwood in "Little Lord Fauntleroy" suits of white and pale blue made an ideal pair of pages, and the seven bridesmaids were in charming gowns of white satin mousseline veiled in ninon and trimmed with silver lace and chene ribbon. Instead of hats they had pretty Juliet caps in pearls, and they carried bouquets of pink carnations. The bridegroom gave each one an amethyst and pearl-blister pendant. Lady Blake held a delightful reception at Tillmouth Park before the bride and groom left for the Highlands by motor, Mrs Ivar Grey going away in a tailor-made navy blue gown and coat to match and dark green hat." 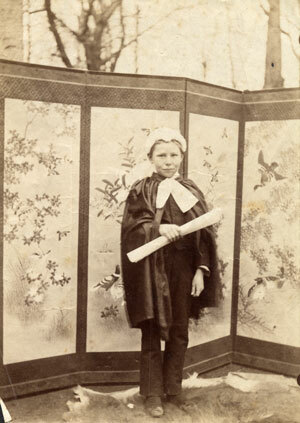 Ivar and his brother Neil were sent to school in Scotland. 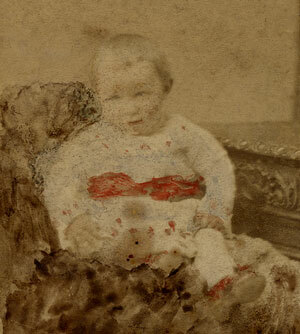 There are letters from both of them to their parents dated 1891, when he was 9 years old. Blairlodge was a private boarding academy for boys at Polmont near Falkirk. The school opened about 1836 and closed in 1904.There are records of it in the Falkirk archives. Ivar was the second child of George and Christian Grey. 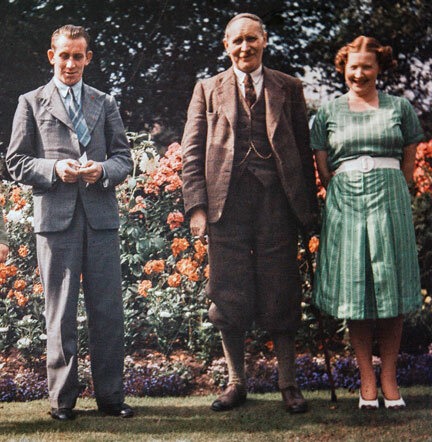 He worked as a Land Agent and J.P.
Jan.1922 in Corn Exchange, Berwick on Tweed. 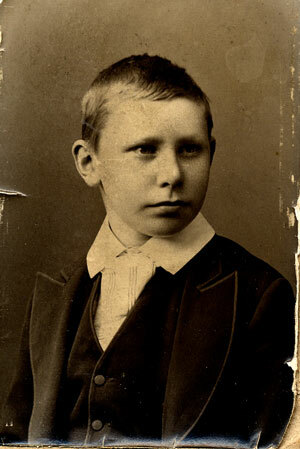 Above: Ivar as a young boy , a picture recently found with letters from his parents. 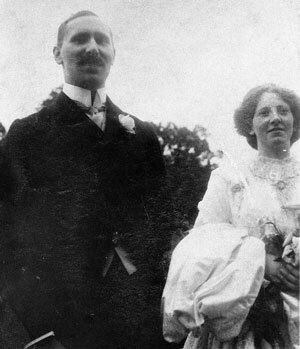 Ivar and Kathleen at Tillmouth on their wedding day, 14 September 1910. 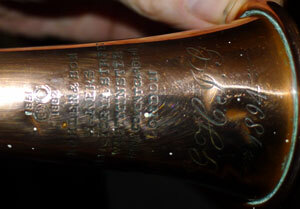 Ivar's hunting horn from Kohler & Son dated 1894 when he would have been 12 years old. Above: Ivar with two of his children, Robert on the left and Hestia on the right.